The lilting voice of the singer – and her effortless elegance – waft through the Friday night crowd at an upscale California steak house, not a hair out of place above her flawless makeup as she performs Beatles hits and other classics to the delight of an adoring crowd. Ruth Allen takes the floor only once every three weeks here at Larsen’s, but she’s been building up quite a loyal following in the bedroom community of Valencia, Santa Clarita, winning fans and followers with her graceful, charismatic and pitch-perfect delivery. She looks like she’s been doing it all her life; in reality, she has – and quite a long life it has been. Because Ruth, who has lived across the US and UK, is turning 90 years old next month – and she’s about to top the bill at a charity show in her adopted suburban LA hometown. She’s already graced some of the most famous stages and clubs in the world, from the Astor Club and the Savoy in London to the Mars Club in Paris – along with more rugged but no less impressive USO tours through the years. But now, at youthful 90, she’ll be headlining near the enviable environs of Tinseltown itself. 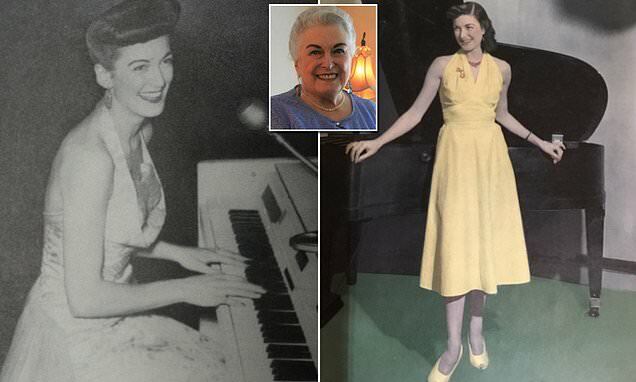 British-born Ruth – who spent years performing under the stage name Ronnie Graham – has lived an incredible life on both sides of the ocean, traveling the world, raising a family and overcoming everything from war to loss in her 89 years. She’s not content to just sing once a month at Larsen’s; no, she’s also a beloved fixture each week at an assisted living facility around the corner from her home, brightening up the afternoons of many contemporaries even older than her.